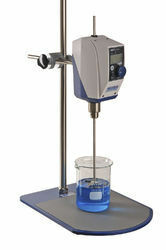 Since our beginning, we are engaged in presenting a wide range of excellent quality Digital Magnetic Laboratory Stirrer with Hot Plate. The offered stirring device is utilized in a rotating magnetic field by a permanent magnet including variable stirring action from the speed from 100- 1400 rpm with speed accuracy of ±2. 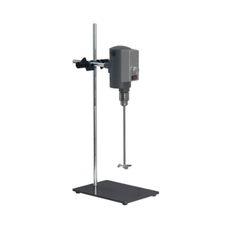 We are engaged in offering Make "Galaxy" AC/DC OverheadStirrerat wide range.These stirrers are featured with strong adjustable stand, lesser noise and smooth start & day night use. Our range of products is known for its features like heavy duty, high torque, compact structures and noiseless operation.